There is no dividing line drawn on the ‘standings’ table on the HSBC Sevens World Series website, but it’s as solid and real as the device on which you’re reading these words. The top four finishers in this season’s series can book their tickets to Rio 2016 as automatic qualifiers for the first Olympic rugby event since 1924. That means South Africa (110 points), Fiji (108) and New Zealand (107) are feeling pretty good about life as they look down on the chasing pack – of which Australia (84) and England (78) comfortably lead the way. This Anglo-Aussie tussle has become the story within the story, Olympic qualification being so glittering a prize that England’s players – already enjoying the services of a sports psychologist, Katie Warriner – are being advised by RFU ‘minders’ not even to discuss the consequences of failing to achieve a top-four finish. 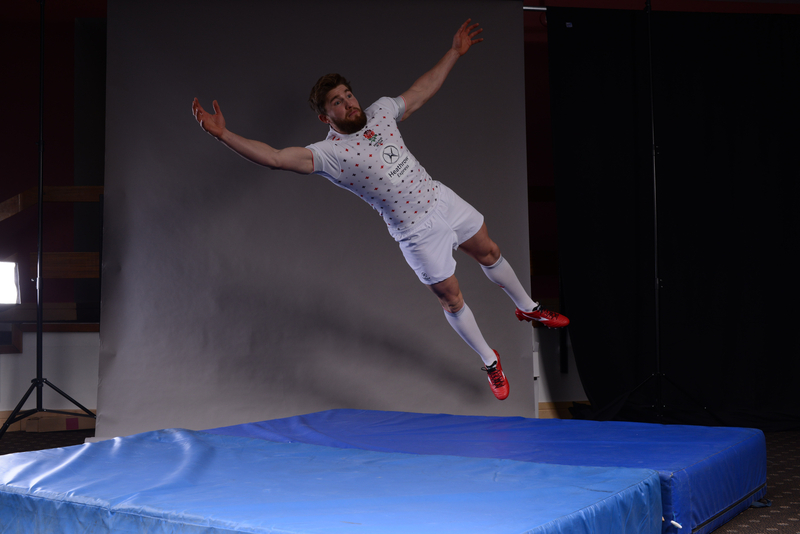 England’s Phil Burgess and Charlie Hayter were bang on message when we caught up with them at the Lensbury Club, the duo leaping about on crash mats and grasping at imaginary rugby balls in an outer space-themed photo shoot. Nothing wrong with that – the ‘game by game’ response is a cliché for good reason – but are England running scared? The Aussies seem to have England’s number right now, their 12-7 Plate semi-final win in Hong Kong more convincing than the scoreline suggests because England captain Tom Mitchell’s try came after the full-time siren. Under Geraint John, Australia have become incredibly tough to breach, with South Africa only scraping through their HK Cup quarter-final 7-5, while the speed of ball at the breakdown area remains a concern for England despite having made strides in recent months. Tony Roques, renowned in his playing days for his abrasiveness in contact, joined the coaching team last autumn. “Tony came in as a defence and breakdown specialist and he’s added a lot to us,” says ex-Wasp Hayter, 26, one of the newest members of England’s centrally contracted core group. England, who finished fourth in the series last year, are entitled to feel a little hard done by. After finishing third in Australia in October’s opening event, they suffered injuries to Hayter (hamstring), Dan Bibby (dislocated shoulder) and James Rodwell (ankle) in Dubai, reducing the squad to nine after the third game and having a knock-on effect on their performance in Port Elizabeth the following week. To that misfortune can be added tight calls, with a harsh double whammy – a penalty try and Dan Norton yellow card – hurting their chances in a feisty HK Cup quarter-final with eventual champions Fiji. Even then, it took a great tackle by Savenaca Rawaca to deny Rodwell in the corner – watch it below – prior to a lot of shoving and verbals between the sides as the final whistle blew on a 14-12 Fiji win moments later. “I think England needed to win to keep them in with an Olympic chance,” said Fiji coach Ben Ryan, and though far from true, the pressure on England is mounting, not least because they also represent the hopes of Wales and Scotland, under the Great Britain flag. England did reach the final in Wellington but the bottom line is that only there and on the Gold Coast have they gleaned more points than Australia. Amor points out that England are “getting there”, that they are losing only by the slimmest of margins, but only three legs of the series remain, starting this weekend with Tokyo. John Brake, back from injury, replaces Worcester’s Richard de Carpentier as England prepare to face Hong Kong, Wales and Fiji in their pool. Whatever happens in the Far East, England will go to Glasgow and London next month with Rio qualification still in their grasp. In Mitchell, Rodwell, Bibby and Norton, they have the nucleus of a strong squad capable of achieving a first tournament win since Wellington 2013. 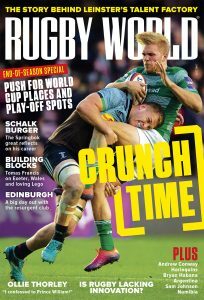 But should the worse happen, they need only to look at a recent copy of the RFU’s in-house newspaper, Touchline, to see how to qualify through the back door. They will need to win the Grand PRIX 7s series, run by Rugby Europe and involving tournaments in Russia (6-7 June), Lyon (13-14 June) and Exeter (11-12 July). Should it come to that, they will be firm favourites. But England will be doing everything in their power to render Sandy Park an irrelevance this summer.